Olivier Schimpf : Can you quickly introduce yourself and describe your background? Martin Adam : Martin Adam started programming in 1985 in the age of 15. I fineshed school in informatics and mathematics. For the next 14 years he worked as a consultant especially for real estate companies where I developed several software products for controlling and portfolio management. In 2005 he started his first IT startup, developing a real estate search for WAP cell phones with location tracking. In 2009 he split from the company and started focussing on Augmented Reality. OS : Could you introduce mCRUMBS ? MA : In the beginning of 2009 Mobile Augmented Reality became a topic. Martin Adam just had puplished a website which displayed real estate offers in a Google Maps view (wohnmap.de) when one of the four German mobile telecom provides recognized him. There has been a devevelpment in progress for an Augmented Reality browser and the content of real estate information could be very interesting for the launch of the browser. So Martin called the developers in Amsterdam and found out that they were developing a software called « Layar ». On the 15th of August 2009 Layar got launched and wohnmap has been one of the very first channels (layer) in it. From then on Martin started to develop new channels with content he thought which could be useful for many people: supermarkets, atm maschines, traffic etc. He found out, that in the development process of the different channels there were similarities. So he started to develop his own development kit do shorten up his own processes. Very soon he found another two AR browsers that hit the market. So he implemented Wikitude and Junaio into his system. Because of the numerous channel he ran on the different browsers the first clients called and asked for his service. 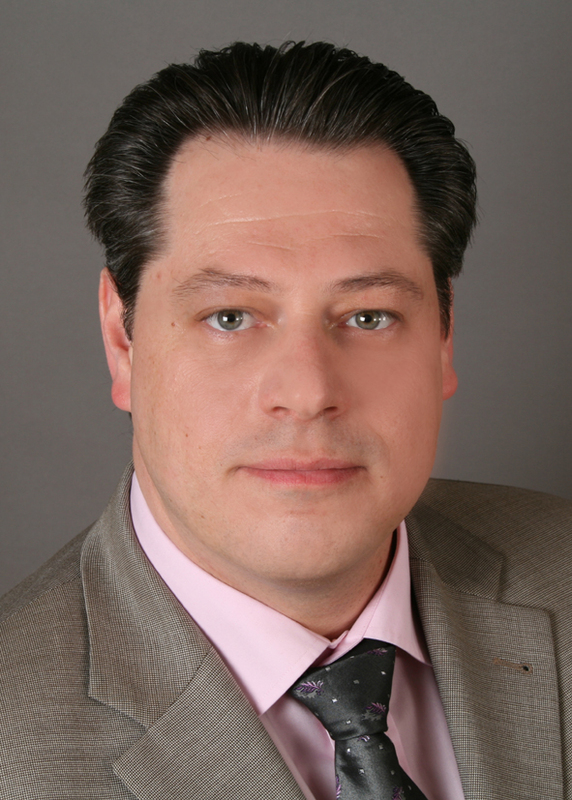 On August 16th 2010 he founded the mCRUMBS GmbH to offer professional AR services. Today mCRUMBS takes care of more than 100 AR channels worldwide. Brands like Vodafone, hotel.info, Immonet and Siemens use mCRUMBS’ service portal which today is called « MARways ». Of cause mCRUMBS worked with image recognition an object augmentations. And mCRUMBS not only runs AR services but also own web and Facebook apps and develops native iPhone and Android apps. Also mCRUMBS started to focus on tourism, culture and events. OS : I’m very impressed by your resume. Can you give some information about “MARways”? MA : MARways is a kind of middleware or as I call it, a translation software. MARways on the one hand side is connected to numerous applications and on the other hand side to many different databases. Every time a user of one of these apps asks for a content that is controlled by MARways, The app sends a request to MARways. 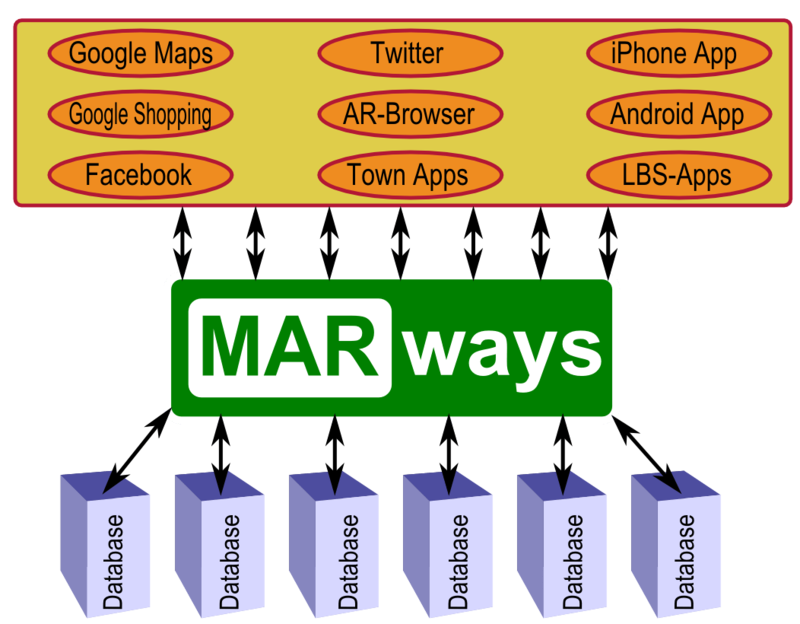 MARways looks up the right content database (own or external), translates the request to another request, which the content database understands, sends it to the database, takes the response, translates it into a response the app understands and sends it back to the app. And with the response MARways sends actions and selfdeveloped modules that lets the user interact with the content. OS : So MARways is a solution BtoB or just used by mCRUMBS? MA : It will be both. For the single projects it will be our own toolbox to create new experiences. But for the products we are just developing we will implement interfaces for our clients. Like for our city apps. We will setup the first experience for the towns but then offer them an interface to take care of their own data. OS : I saw on your website an application “myMUSEUM” how this application is used? What are the opinions of experts or museum curators? MA: myMUSEUM in the first step is a location based service to find museums next to you. We already show museums in Belgium, Bulgaria, Denmark and Germany. We also got the content for several other countries but it takes time to convert it into the format we want it in. The next step is the one we are just working on. We are developing a museum app which is a kind of multimedia guide using the technology of Augmented Reality but not only. We will go online in January in the Pergamonmuseum in Berlin, which is one of the most famous museums in the world. We will start with something that is called recontextuaization. We will show the exhibits of Pergamon in their historical surroundings by using AR. Until September we want to be online with the whole guide, which will consist of audio, video and social media content. The app is nearly finished but we have to talk the museum into the different features. I just started to tell historians, curators and story tellers about our idea. And the feedback is very positive. But it will take some time to talk more and more museums into our solution. There are a few things you have to understand about museums and new technologies. But I’m sure we are on right path. OS : without revealing your secrets, can you tell us about your upcoming projects? Os : In your opinion, what is the current limit for the acceptance of augmented reality for everyone ? MA : There are a few reasons why AR doesn’t proceed as expected. The first one is that there are too many projects without any value for the users. A wow-effect helps for the moment, but the user won’t use it again if he doesn’t get anything out of it. The second one is that it still needs too many clicks to get to the content, if we look at the browsers. The user is annoyed before getting to the content. The third reason is the compexity of AR. Who should sell AR? The marketing agencies! But do they know what AR is about and what we can do with it? No, they don’t. They don’t know about the different technologies (browsers, plugins, SDKs) and they don’t know about the prices. So, how can they sell it? For the second and third items, the RA technology begins to be known by all. The uses and applications will improve with the market. I trust with companies like yours oriented the uses, we will have simple and functional applications. What is your vision of the AR technology in 2030? MA : I don’t know about 2030 but I’m sure we will see different devices like visors and the windshields of cars. And I’m sure we will have a much more intuitive internet. I don’t know if we will have apps anymore or if html5 will rule. But I hope I can be a part in building the future. It’s amazing and a lot of fun. MA : I still believe in Augmented Reality. But we should start to understand that AR isn’t the one solution. AR in my opinion will be a part of the new mobile internet where we will be able to use the different sensors of the smartphones and maybe other devices to help the users in finding information sooner and better than in the normal web.